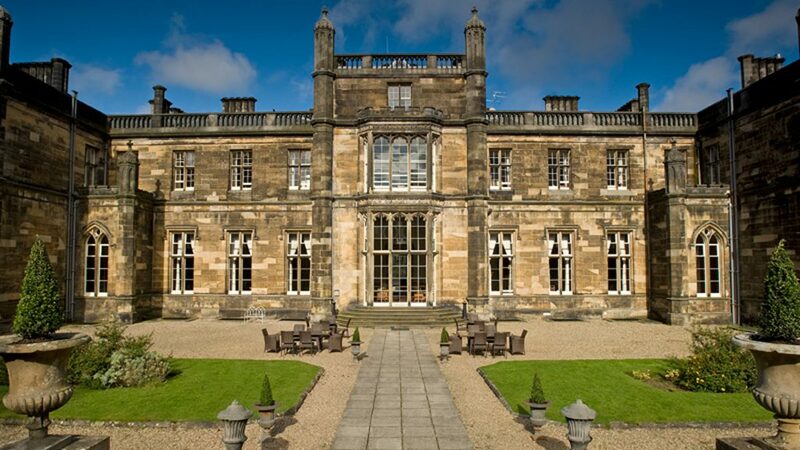 This spectacular hotel, leisure and golf complex sits high in a 240 acre woodland estate overlooking the River Clyde in Bishopton, near Erskine. A redevelopment of an early 20th century mansion house and latter hospital for war veterans, has revived this fine example of Edwardian architecture considerately refurbishing the internal neglected building structure and fabric alongside introducing new leisure pool and apartments. The design proposals for this significant mansion house, saw the internal refurbishment and alteration into a five star luxury hotel. Extensive intervention into the building structure saw large downtakings and reconfiguration of loadbearing walls to suit the new spatial planning for the 53 bedrooms, all individually different, whilst protecting and maintaining the exquisite ornate plastered ceilings throughout. Generous floor to ceiling height spaces, allowed the introduction of mezzanine floors into the original staffing quarters to create unique self-contained apartment accommodation. A new leisure facility was developed within an existing accommodation building, a short distance from the hotel, with the buildings courtyard being regenerated by the introduction of pool with a finely formed feature roof steel structure. A glazed heated walkway structure was integrated into the lower section of the hotel and extended to the leisure block, allowing guests to access the pool and facilities without venturing outside. The hotel perfectly sits into its new surroundings amongst the new Championship golf course, which skirts the banks of the River Clyde providing a truly grand setting.